When did the holidays become such a hectic time?! I guess always, but maybe this year is just the first year I’m noticing it. Christmas is my absolute favorite time of the year! Especially now, as a mom, I love getting to see the holidays through my baby’s eyes. Lucas LOVES all of the Christmas lights around town, and he did so good with Santa again this year, we even saw him twice! The second time Lucas just walked right up to him all by himself. Such a big boy! Motherhood, y’all. All the feelings. 2017 is going to be a big year for us. I bought an Erin Condren Lifeplanner and am waiting patiently for it to arrive in the mail so I can hopefully plan our whole entire year (as best as I can anyway). I plan on doing a New Years Resolution post within the week and actually stick to my resolutions. Hopefully me putting it out there on this blog will actually help me stick to it. Merry Christmas & Happy Holidays, everyone! 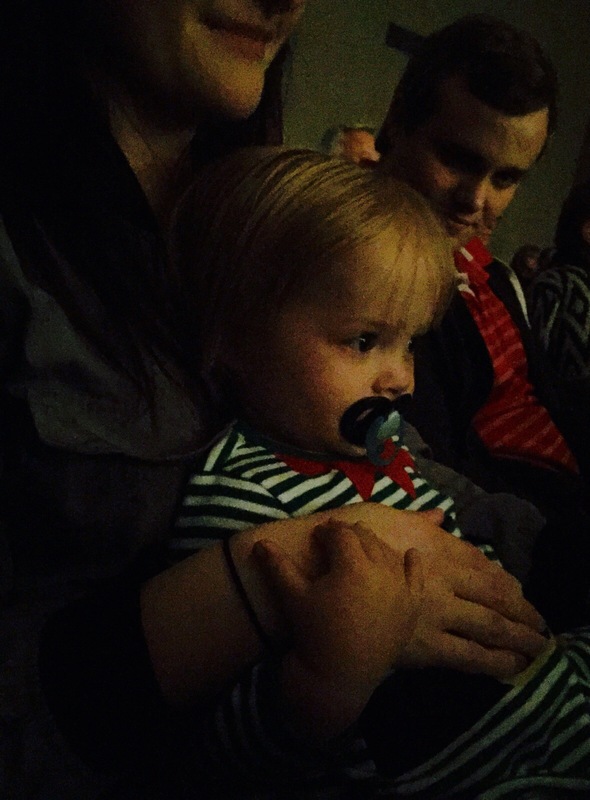 We went to my nephew’s Christmas program last week, and Lucas did so good! I was so proud of him. He sat on my lap the entire time (the most still I think he has ever been for an hour) and watched all the kids sing and dance. It was so cute!